Students walk by the iconic Iowa State University Campanile tower on April 16, 2015. 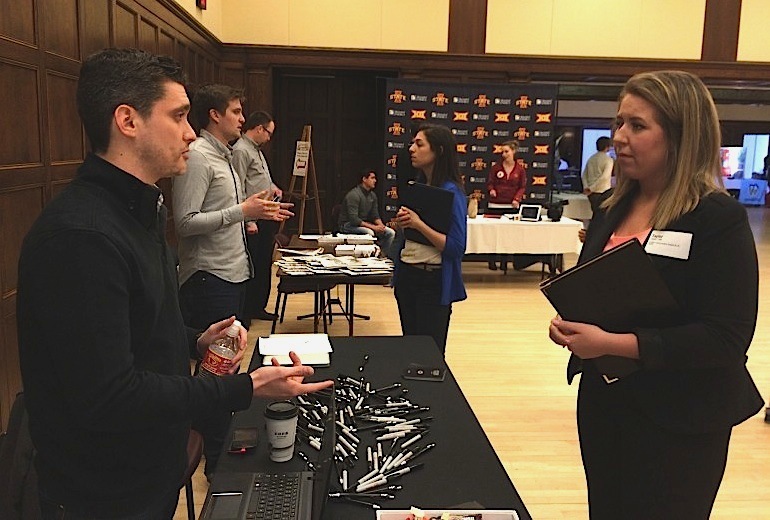 Taylor Tufte, an Iowa State University senior from Maple Grove, Minnesota, talks with a Bernstein-Rein job recruiter during a February 26, 2015, career fair for Iowa State journalism and communication students. Tufte says she fell in love with Iowa State after a visit to the school with a friend while in high school but doesn’t want to stay in the state. She wants to live in a big city, she says. “I always saw Drake as more of a transitional place, or, like all of Iowa as a more transitional place,” Joey Wolfe, 21, said in a multi-campus IowaWatch report on where 2015 college graduates in Iowa plan to use their education. Wolfe, a Kansas City, Missouri, native said he plans to move to Seattle and apply to the University of Washington Law School after graduating from Drake University with degrees in English and political science. Brain drain — the exodus of young and well-educated individuals, like Wolfe, from a state economy — raises plenty of concerns about the health and future of a state’s economy. “Certainly we know that Iowa needs to grow its population in order to provide the companies that are growing here and choosing Iowa with the highly skilled employees that they are going to need,” said Tina Hoffman, marketing and communications director for the Iowa Economic Development Authority. But re-branding the state to appeal to a young workforce is challenging. 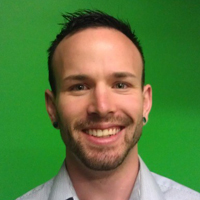 It’s impossible to encompass everything, Danny Laudick, talent solutions coordinator for the Greater Cedar Valley Alliance & Chamber in the Waterloo-Cedar Falls area, said. “It’s more than just showing we have good nightlife, with a bunch of bars and restaurants. It’s showing that people in the area have the same interests as you and you are not limiting yourself by staying here,” Laudick said. Some data are available to track how many students move out of the state, including surveys conducted by Iowa’s regent universities. The data show roughly half of students from the University of Iowa and Iowa State University leave, while many from the University of Northern Iowa, 85 percent in the latest survey, stayed. Although anecdotal evidence suggests some graduates will return to the state after a few years, no data exists to show just how many come back. Student journalists across the state — at Iowa State University, the University of Iowa, University of Northern Iowa, Drake University, Loras College, Simpson College and Cornell College — interviewed graduating students about their post-graduation plans as part of the IowaWatch College Media Project. Most of the 18 graduating seniors interviewed — 14 — said they planned to leave the state, often citing job opportunities, although some native Iowans said they would like to return to settle down and be near family. 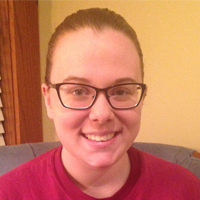 “All of my family lives in the Des Moines area, so if I wanted to get married and settle down, I would definitely consider moving back to Des Moines to be close to my parents,” Simpson College senior Emma Jones, of Ankeny, said. Jones, 22, accepted a job with Epic, a medical software company in Madison, Wisconsin, but said she had thought about looking for jobs in Des Moines or Iowa City. 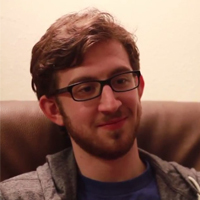 “It’s kind of always been my idea that I would move out for a little bit then eventually come back,” he said. Laudick said having Iowans leave the state after graduation and then return can be beneficial. “A lot of our companies really want those people who have gone outside the state, have some good job experience, and are coming back,” he said. Iowa’s limited population growth isn’t new. Iowa has faced slow population growth and a high percentage of elderly residents for decades. According to U.S. Census data, Iowa had the lowest percent increase in population growth from 1900 to 2010 of all 50 states. During the last census count in 2010, Iowa’s elderly population, which represented nearly 15 percent of the population, placed it among the five states with the highest percentage of people aged 65 and older. Census numbers also show declining populations in rural counties. State officials say they are working to increase the appeal of Iowa to young, skilled workers and the recent additions of companies like Facebook and Google boosted Iowa’s reputation as a state for young professionals. “At the end of the day, college students are looking for that next great opportunity. What I think we have going on here now is an abundance of those opportunities, particularly for college educated students to take advantage of,” Hoffman said. The key for Iowa, she said, is seeing a net population gain as students, both native Iowans and those from out-of-state, finish their education and decide to leave or stay. “I think that it is certainly worth having the conversation of how do we make sure that we build a picture of what Iowa really is, so people want to experience this as their new place as well as people who want to stay here because they know it, and they love it, and this is where they want to build their life,” Hoffman said. Post-graduation surveys conducted by the state-run regent universities show the University of Northern Iowa had the largest percentage of graduates staying within the state. The University of Iowa had the smallest. About 85 percent of those graduating from the University of Northern Iowa with a bachelor’s or with advanced degrees between August 2013 and May 2014 accepted jobs in Iowa. 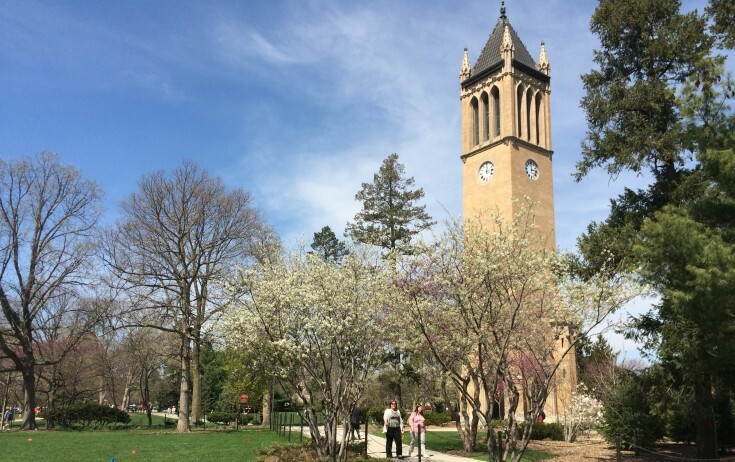 The most recent survey from Iowa State University showed that, of the students who graduated with bachelor’s degrees between Fall 2012 and Summer 2013, roughly 55 percent were employed in Iowa. And for the University of Iowa, the number was 49 percent for students graduating with bachelor’s degrees between Fall 2012 and Summer 2013. Drake University also publishes a post-graduation report, showing 55 percent of respondents who graduated with bachelor degrees between August 2012 and May 2013 were employed or continuing their education in Iowa. Angi McKie, senior director of operations at the University of Iowa Pomerantz Career Center, said several factors influence a student’s decision to leave the state, including whether the student originally is from out of state and what the student wants in a job. McKie said professionals at the center try to make students aware of job opportunities in Iowa through the center’s Consider Iowa program. “We’ve done special networking events over the years and road trips or immersion trips where we take students to learn about opportunities in the state of Iowa and to meet young professionals so they have an opportunity to network with people who have chosen to stay in the state of Iowa or returned to the state of Iowa,” she said. “It’s almost a trial run for both the student and the company to see if that’s a relationship that might work over a longer term,” she said. Internships are a key factor in where students eventually to accept a job, McKie said, as they allow student to find out what it’s like to live and work in a town or city. But ultimately, she said where a student goes depends on what opportunities are available and what students want. “When we’re doing career advising with students we want to make sure that we are helping those students make the best decisions for them,” she said. Steven Hensley, a senior and business analytics and finance major at the University of Iowa, said he didn’t have a preference over where he ended up and looked everywhere for jobs. “It was just kind of wherever was the best opportunity for me. And that just ended up being in Chicago,” he said. After graduation, he will be headed to the Windy City, where he landed a job with CNA Financial. 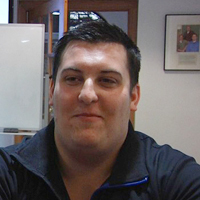 Joey Gale, 21, who will graduate from Drake University after studying marketing, information systems and leadership, said his goal is to stay in Iowa and take advantage of opportunities available to young professionals. “It seems like a lot of young professionals here are getting a lot of good experience here and getting it quickly and moving up at a young age,” the Plymouth, Minnesota native said. Gale said Des Moines seems like “a very active, growing city,” citing the recent Forbes ranking of “America’s Best Cities for Young Professionals,” which placed Des Moines at the top of the list. Laudick, at the Greater Cedar Valley Alliance & Chamber, said finding a job in Iowa can be easier because job applicants are often face less competition. “When you apply for a job in a big city, you are competing with an international talent pool,” he said. He said that it is important to educate people about the opportunities available in the state in order to change peoples’ perceptions of those who stay in Iowa as “settling” as opposed to “choosing” to stay in the state. “Even for those growing up here and going to school here, you don’t realize what companies and opportunities are available here,” he said. Colin Halbmaier, 22, a creative writing major preparing to graduate from Loras College, said he planned on looking for jobs in Dubuque or in his hometown of Cedar Falls, although he was unsure where he would end up. “Ultimately, I would just want to keep creativity at the heart of it,” he said, adding he was looking at jobs such as reporting or working for a nonprofit. Despite a perception outside the state that Iowa’s economy is based solely on agriculture, Hoffman said, manufacturing makes up the largest part of the state’s GDP. “Manufacturing is not just how many of us might perceive it. It’s high tech it’s innovative, it’s clean and bright and it’s an industry where people can have careers and not just a job, maybe like you would think about from manufacturing of old,” she said. The growth in bioscience and other high-tech companies as well as the existence of an entrepreneurial community are also factors that she said could be used to attract people to the state. “For all of those reasons combined, we’re seeing so many companies start up and choose here and I think that that’s important as well to attracting young people and keeping young people here in our state,” she said. Iowa Workforce Development teamed up with the governor’s office, the department of education and the economic development authority to study factors influencing the migration of college graduates out of the state. In 2008 and 2013 Iowa student surveys, Iowa Workforce Development worked with community colleges, state and private universities to ask students whether they were thinking about leaving the state post-graduation and what influences their decision. Just under half of the 2013 respondents, 45 percent, leaned toward staying in Iowa, with 32 percent saying they were unsure and 23 percent leaning toward leaving. More than 5,000 students responded to the 2013 survey, with 42 percent of respondents from regent universities, 35 percent from community colleges and 15 percent from private colleges. The survey was conducted from February to June 2013. The study found community college students were most likely to stay in Iowa, with about 55 percent saying they leaned toward staying. Private college students were next, with about 43 percent saying they leaned towards staying. Students at the regent universities were the least likely, with 35 percent leaning towards staying. The survey explored a number of factors that could influence students’ decisions to stay, including attractive job benefits, outdoor recreation opportunities, clean or safe communities and affordable costs of living. For each factor, the survey measured whether the students would be influenced by it and whether they believed Iowa offered it. Large percentages said competitive wages or entertainment options that interested them would influence their decisions, although relatively few thought either was available in Iowa. Of the respondents, 84 percent said competitive wages would attract them to stay in the state, but only 46 percent said Iowa offers such wages. Students’ dissatisfaction with entertainment opportunities grew between the 2008 and the 2013 surveys. In 2008, just over half, or 51 percent of students, agreed that Iowa had interesting entertainment options. That decreased to roughly 37 percent in 2013. The report noted that many students stated that Iowa is most attractive to those who are married and raising a family. “I really want to be somewhere I can go hiking or skiing or bike riding,” she said. She was accepted into graduate school at the University of Denver and planned on looking for a job in the public relations industry. Melanie Horton, 22, an Iowa State University student who will graduate with majors in environmental studies and environmental science and a minor in speech communications, said she plans on heading to Florida to be near her brother. The Chicago native said she doesn’t plan on returning to Iowa. Instead, she said she planned on traveling and working as an environmental or health advocate. If she settled down, she said, it would be near family in Chicago or Florida or wherever she ends up. “It was beautiful and people are so nice. I never had this kind of nice anywhere I went,” she said of the campus. The inclination of out-of-state students like Richert and Horton to leave Iowa follows trends found in the Iowa Workforce Development’s student survey. Only 11 percent of out-of state-student respondents said they leaned towards staying. Iowa natives were likely to stay, although 16 percent said they leaned towards leaving. Sheldon Gaskell, who came to Cornell College from Enfield, Connecticut, said he felt like he had put roots down in Iowa and considered sticking around after graduation. He said the low costs of living and availability of jobs in Iowa were appealing. Gaskell, a creative writing and English major, flirted with the idea of working in an Iowa vineyard. He said the idea was inspired by the appreciation for hands-on work that came from working in the tobacco fields in his home state. He eventually decided to head home to write and fill out another round of applications for graduate schools. Hoffman, of the Economic Development Authority, said Iowa has to be “better and louder” when spreading the word about opportunities available in Iowa. “We tend to be kind of a humble group of people and maybe we don’t talk about all the great things that we know are here loud enough so that everybody else knows,” she said. Hover over a marker and click to view student comments. Des Moines is a growing with professional opportunities for young graduates; it just doesn’t have what two Drake University seniors in this report are seeking. This report is the result of the third annual IowaWatch college media project, in which 10 student journalists at seven Iowa campuses gained experience for an important state story. Reporters conducted interviews with graduating students to delve into the issue of brain drain in Iowa — revealing post-graduation plans and reasons for either leaving or staying in Iowa. The story, written by IowaWatch staff reporter Lauren Mills, is based on these interviews. 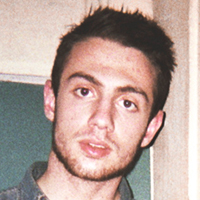 Reporter stipends were provided through a successful Beacon Reader crowdfunding campaign. IowaWatch would like to thank donors for their support. 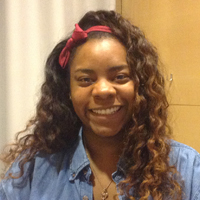 Danielle Ferguson: Danielle is a junior majoring in journalism with a minor in sociology. She is originally from Salem, South Dakota, a town of about 1,000 people 40 miles west of Sioux Falls. She worked at the Iowa State Daily since her freshman year, spending the first two years covering the Board of Regents as a news reporter and this year she is a news editor. Next year, she will be the editor-in-chief. She interned at the Argus Leader in Sioux Falls last summer and will be at the Des Moines Register this summer. 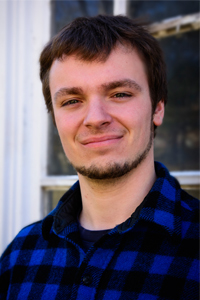 Nicholas Fisher: Nicholas is a sophomore English major and executive editor for the Northern Iowan at the University of Northern Iowa. 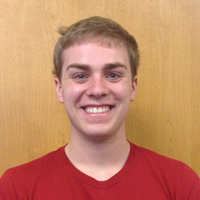 He is a native of Mechanicsville, IA and will be interning at the Mount Vernon-Lisbon Sun this summer. 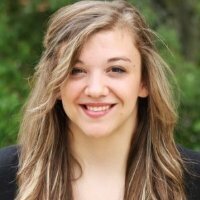 Meghan Horihan: Meghan is a marketing and promotions specialist at IowaWatch. She was a fall 2014 intern at Frank N. Magid Associates after serving as a summer 2014 intern at KGAN-TV in Cedar Rapids. She is a senior studying journalism and mass communication, and American studies at the University of Iowa. 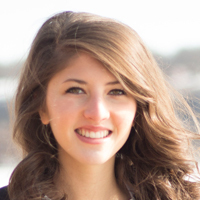 Tessa Lengeling: Tessa joined IowaWatch in spring 2014. She is a senior at Simpson College, where she has worked as a writer and news editor for The Simpsonian newspaper, has been social media manager for the Simpson College Culver Public Policy Center and intern with the college's marketing and public relations office. After graduation this May she will be joining NextGen Climate in their Des Moines, Iowa office as a press secretary. 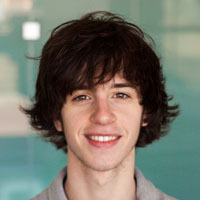 Cole Norum: A Drake University journalism student by way of New York University and The New School, Cole eschewed studying film and television for reporting. Never without his Canon 70D and journal, Cole has aspirations to travel and document stories through melding the visual and written mediums. 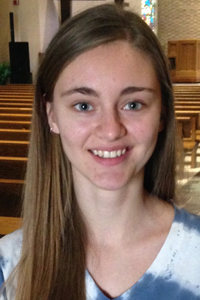 Susan Nourse: Susan is a junior at Drake University in Des Moines, Iowa. She is majoring in News/Internet Journalism and Sociology. Susan is a native from Oelwein, Iowa. She is currently the Weekend Coordinator for the Iowa Radio Reading Service for the Blind and Print Handicapped, and was a communications intern at the Wonder Foundation in London, UK in 2014. 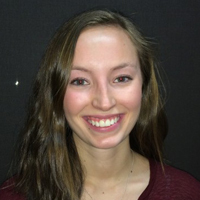 Erin Selin: Erin is a junior at the University of Iowa studying journalism and entrepreneurship. She is a member of Pi Beta Phi sorority and active in Dance Marathon. She is undecided about what to do after school but would like to go into either public relations or magazine writing. 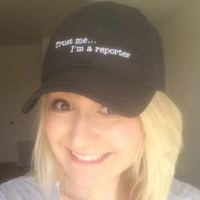 Danielle Wilde: Danielle is a staff photographer at IowaWatch. She is a junior at the University of Iowa studying for degrees in journalism and mass communication, and studio arts with an emphasis on photography. Her experience includes an internship at San Jose State University’s SHiFT Magazine in the summer of 2012. 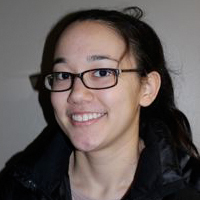 Allison Wong: Allison is currently a sophomore media studies major at Loras College with a minor in political science. 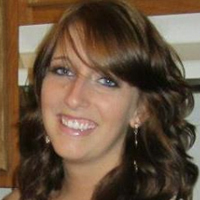 A native of Dubuque, Iowa, Allison will be interning with KWWL this summer at their Dubuque Bureau. 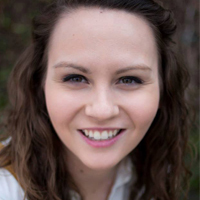 At Loras, Allison is an associate producer, anchor, and reporter for Loras College Television. The main IowaWatch story in this project was published by The Des Moines Register, The Hawk Eye (Burlington, IA), The Courier (Waterloo-Cedar Falls, IA) Mason City Globe Gazette, The Telegraph Herald (Dubuque, IA), Ames Tribune, The Gazette (Cedar Rapids, IA), Iowa City Press-Citizen and Sioux City Journal; and Iowa Public Radio, KCRG-TV (Cedar Rapids, IA), KGAN-TV (Cedar Rapids, IA), KXEL radio (Waterloo, IA) and KCNZ (Cedar Falls, IA) radio did reports based on this story under IowaWatch's mission of sharing stories with media partners. To learn how IowaWatch's nonprofit journalism is funded and how you can support it, go to this link.